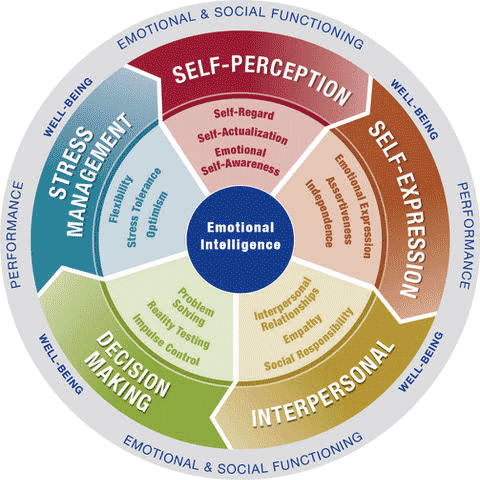 If you are an entrepreneur or a corporate executive, let Emotional Intelligence enhance your career, lifestyle and relationships. At InLight Coaching, I can improve your life in SEVEN distinct areas. Take a look at these categories and consider how you would like to invigorate your life. Whether you are contemplating a horizontal or a vertical move, it’s not enough to re-organize your CV or send a few inquiring emails. Competition is fierce. Instead, you can get a leg up over the fierce competition with InLight Career Coaching. Coaching with me can provide you with the know-how to get ahead of the crowd. I can ignite your passion to develop the skills to find the right opportunities and the tools to make the most of them. Career Coaching can save you money – and wasted years – by helping you to identify the work that will make you fulfilled. It can prevent you from making false starts and a lifetime of seeking advancement in the wrong areas. Learn more about Career Coaching and how it will help you devise a plan that moves you in the right direction. Begin Career Coaching and Email me. Emotional Intelligence is an often-overlooked form of “smarts” that is becoming increasingly valuable IN diverse, modern workplaces. A high degree of Emotional Intelligence is essential in helping you to interact with those that will enhance and further your career. If you are going to get ahead in any industry, you are most likely going to need to work with others. If you can create and manage a team effectively, you will be on a fast track to achieving your goals in any arena you choose. Emotional Intelligence Coaching by using Emotional Quotient (EQ) will give you the skills to get ahead. Begin Emotional Intelligence Coaching and Email me. I have chosen to focus on Emotional Intelligence Relationship (EIR) Coaching because I have seen that use of Emotional Intelligence is the most effective, quickest and lasting way to achieve rewarding and mutually satisfying relationships. Emotional Intelligence improves positivity, cultivates constructive communication and helps develop a common vision. Through use of it, one can understand his or her true role in a relationship or interaction and commit to applying new learning in order to make it mutually beneficial. If you get the learning right, the rest simply falls into place, leading to individual self-actualization and a more rewarding relationship. Regardless of whether you are experiencing a rocky period in your relationship or if you just want a more rewarding one, EIR Coaching can enhance and deepen your commitment and ability to stay happy together. Begin Emotional Intelligence Relationship Coaching and Email me. You have a purpose in life, but you may not know exactly what it is. When you learn your purpose, you may be surprised. Surprised or not, your life can be remarkably changed by knowing exactly what it is. With purpose coaching, we will do two things. We will determine your values and what is most important to you, we will find out where you were happiest in the past. Then we will align this information with your abilities, expertise, and passion to give us your purpose. Rest assured that this is not about me telling you what you should be doing with your life. 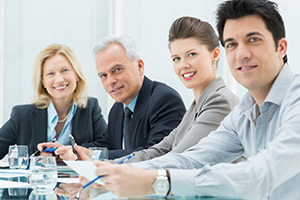 Rather, I will facilitate an exploration of your feelings and instill the tools and techniques required so you can come to your own conclusions regarding powerful changes that will allow you to live the life of your dreams. Begin Purpose Coaching and Email me. Creating a legacy means making a lasting difference to the world. Although a lot of people want to do it, unsurprisingly, most people don’t know where to begin. Consider what change you think the world needs right now? You have a lot of options to choose from, maybe they are big issues and maybe they are tiny, but with Legacy Coaching, we can work out how you can be a part of beneficial change. Together, we’ll explore your ideas about what you want people to say about you and what you have created. Then we’ll explore even more to make sure your goals are large enough. This is your legacy we’re talking about! To create a legacy, it’s necessary to touch people’s lives and improve the world around you. You’ll benefit from help getting your plan in shape. And you’ll need some tools and techniques to carry it out. I can equip you with all you need to devise a plan that is perfect for you. With the skills you develop during coaching, you’ll be able to live a life of excellence. Begin Legacy Coaching and Email me. Here is a simple test for you. If you are constantly living your daily life feeling afraid to be wrong or worried about making mistakes instead of focusing on your capacities and resources, your confidence is low and needs a boost. Are you stepping up or sitting on the sidelines? Here is your chance to play with confidence and to play fully. Be brave and take an action! Begin Confidence Coaching and Email me. A leader who moves with purpose, driven by knowledge of what’s important – and an understanding how he or she fits into that – is an attractive and inspiring individual. Today, more than ever, being an effective leader means being the living embodiment of your ideas. It means that you have to concentrate and hone your ideas inside your own head and heart before you can ask others to share your vision. Only by being the best leader can you inspire others to greatness. Being a positive influence on others is as much a part of your legacy as the tangible things you create. Emotional Intelligence Executive Coaching by using Emotional Quotient (EQ) Leadership 360° Assessment will give you the skills to get ahead. Begin EI Executive Coaching and Email me. “Please think about your legacy, because you are writing it every day”.